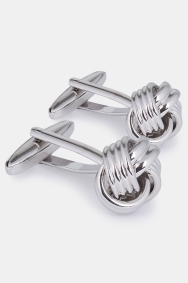 These classic Moss 1851 silver metal knot cufflinks are the perfect finising touch to all your formal outfits. Great for both special ocassions and business wear. 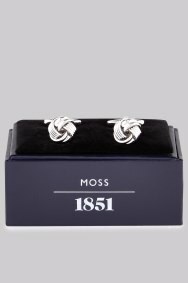 Same set of cufflinks seen at another store but Moss Bros one was £5 cheaper! I needed cuff links in a hurry. Good choice and service meant I was served and sorted quickly and without fuss. Excellent staff, go above and beyond assisting you. good kit, really enjoyed this KIT. Nice cufflinks, looks good, and will work well with my blue shirts. Cufflinks are lovely on the other hand, and reasonably priced. Give purchasing a raise and fire IT/management.